The Peak of Très Chic: Gift Ideas To Buy That Will Arrive By 12/25! Gift Ideas To Buy That Will Arrive By 12/25! i love that blue jumper! adorable! The Man Can is too funny! in love with the bali boxes and love the chairs in your Savvy home picks!! already visited!! great picks! love that poker set for guys, that's a great idea! red river is one of my most favorite places to visit! so magical. 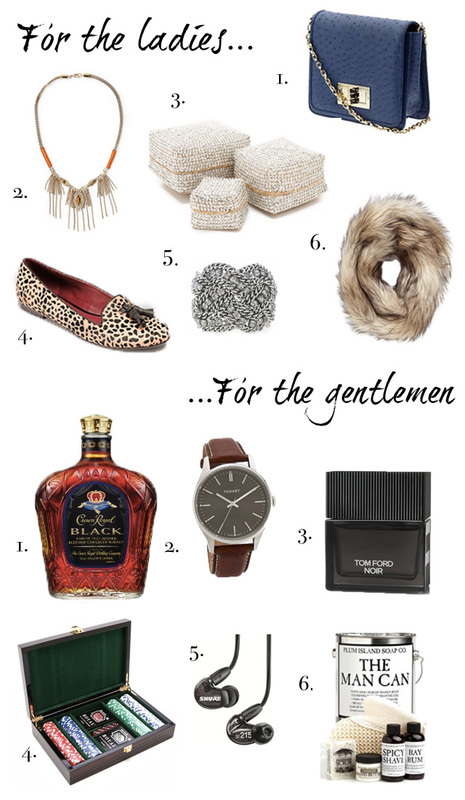 This is a great gift guide idea...that purse for the ladies is so cute! Such a great round-up for last minute shoppers!! Love those loafers! i have those leopard print shoes and i love them - they are super comfortable! and i'm a vegetarian too and we always snack on spinach artichoke dip as well! So much goodness in this post! I love all your gift picks. That Juicy Faux Fur is lovely! I've been searching for one this season! The best gift for any men in this world would be the 1st one which you mention in you post a man has no limit of his happiness when he get a bottle of win.!!! I pinned them for later.